An effective craft show booth makes a huge difference in your sales at craft fairs. Here's why you need a great display and how to create one. Your craft display is an absolutely essential factor in the success of your craft business if you are selling at juried art shows. Other than your actual products, there is probably nothing that affects your sales more than your display. For some reason, many professional craft artists don't invest the time and money required to create an effective display, so it really doesn't take a lot to stand out from the crowd. 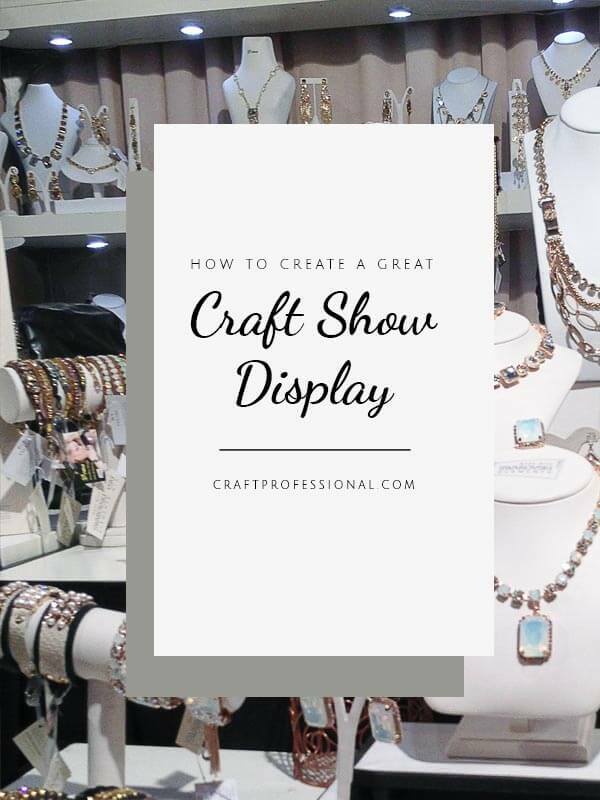 The effort and money you put into creating a well designed craft fair display that is attractive and also functions well will pay off is several ways. The quality of your craft display makes an enormous difference in terms of getting accepted into juried art shows. Many art shows (and almost all of the better shows) require you to provide photos of your booth as part of the jurying process. Not only will the jury assess the quality of your work, when you apply to juried shows, they will also assess the quality of your craft booth in order to ensure they maintain a certain level of professionalism in the look of the booths at the show. 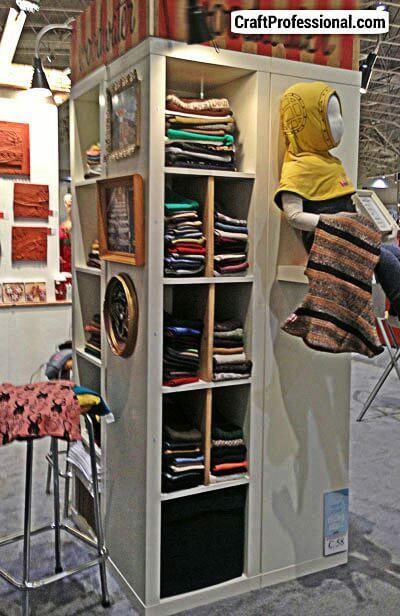 The quality of your booth is a particularly important factor to address if you are determined to be accepted into the better craft shows. The quality of the shows you attend can make a big difference in the sales you make, and most profitable and well attended shows are very competitive to get into. 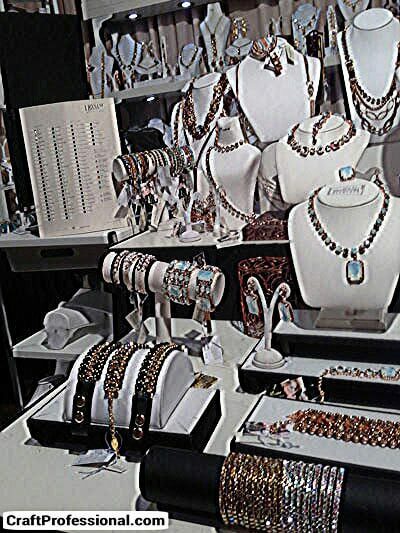 Even if your products are exceptional, having an excellent craft show booth booth can make the difference between being accepted into great shows and not being accepted, particularly in highly competitive categories. Once you're accepted into some great art shows, you still need your craft display booth to work for you to bring in sales. An attractive, well designed booth will quickly tell customers what your product is all about and help draw customers into your booth. It will encourage customers to engage with you and your products, and all of those factors increase sales for you. A lacklustre booth will have the opposite effect, causing customers to walk past without investigating your items no matter how fantastic they may be. A well designed booth helps you to feel comfortable while interacting with customers. It protects you and your items from the elements at outdoor craft shows, it helps you to maintain your energy throughout a long craft show, and it provides adequate work space to allow you to write up sales, talk with customers, demonstrate products and make adjustments to products when appropriate. Your comfort level in your booth can also affect your sales. 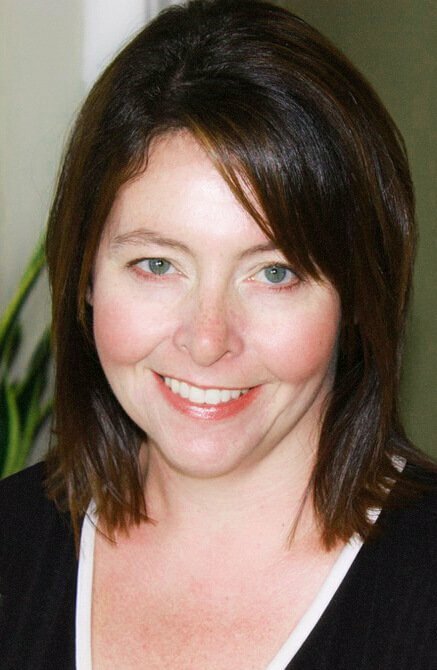 The happier, more comfortable and more energetic you feel in your craft show booth, the better prepared you will be to interact effectively with your potential customers. A well designed craft display booth allows for efficient setup, teardown and storage. 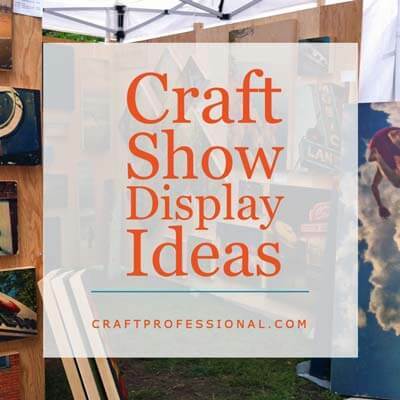 When you have thought through your craft display, you will be able to set up your booth quickly, which allows for an easier, stress free start to your day at a craft show. It will also allow for easy teardown, which becomes extremely important at the end of a long day (or several days) at a craft show. Finally, a well designed craft show booth will allow you to transport and store your products and your display stands, walls, tables etc. in a way that protects your items from damage and is space efficient. Hundreds of photos of craft show booths right here! 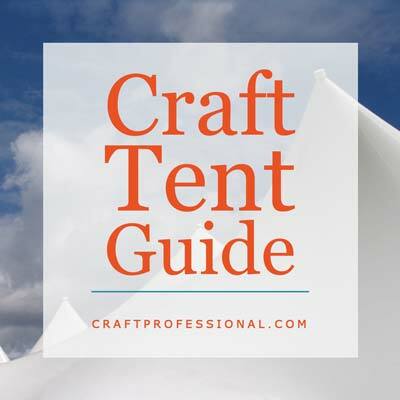 Need a craft tent? Find the best tent for your needs here. 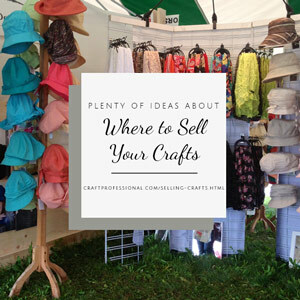 Lots of information about selling crafts at art shows.